Welcome to one of the most beautiful spots in the old centre of Madrid (known as Madrid de los Austrias). 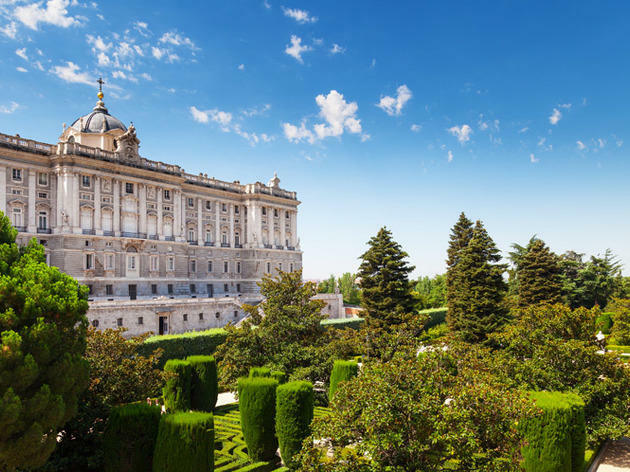 This neoclassical-style garden faces the north facade of the Palacio Real, between C/Bailén and Cuesta de San Vicente. With a large circular fountain and a small pond where tourists and locals cool off in summer, its French style has made it a unique green space in Madrid. Its shrubs and hedges are trimmed into geometric forms, further highlighting the beauty of the park and its statues. In summer the park is full of concerts and theatre and dance performances thanks to Veranos de la Villa.